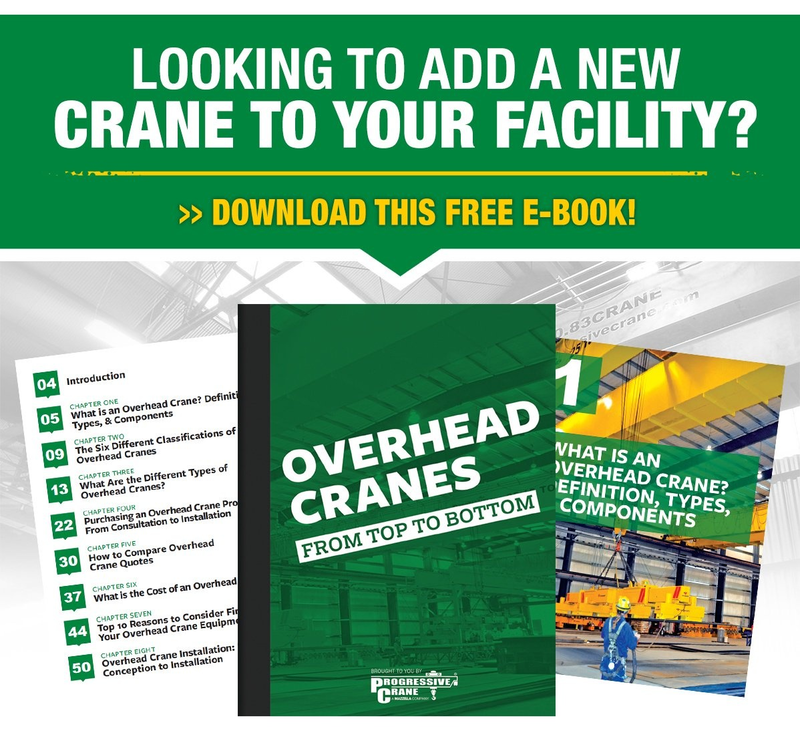 Why Would You Need to Upgrade an Overhead Crane’s Capacity? Any change in a production process, like lifting a new type of material, lifting a heavier type of material, or making more frequent lifts, may require an upgrade to the crane equipment's rated capacity. Example: Are you now lifting a new type of material that requires the use of a below-the-hook device? How much additional weight does this device add to the total weight of the load? Example: For 10 years you lifted a die that weighed 10,000 lbs. You had to replace that die and the new one you received now weighs 20,000 lbs. Example: You’re now making more lifts per hour, or you added a second or third production shift—meaning the crane runs more times per day. Over time, this can lead to premature wear or even failure of the crane components. Costs related to service calls to repair or replace individual components can add up and eventually exceed the cost of an upgrade. Often times, the customer is aware that they’re exceeding the capabilities of their crane and will reach out to their crane service provider to see what can be done to help extend the crane’s operating life. 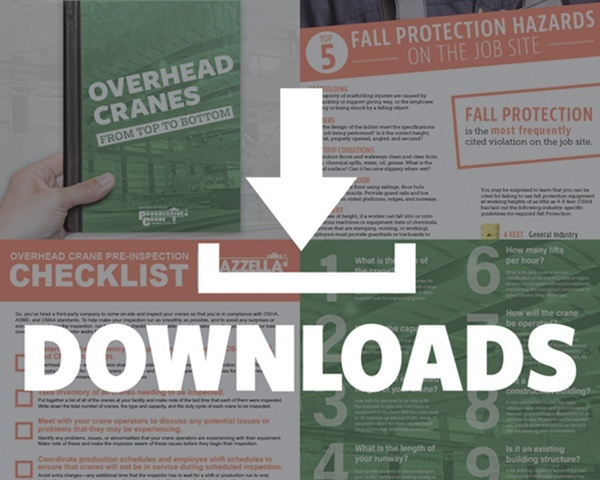 Other times, the service provider may make the recommendation to consider an upgrade or modernization to the overhead crane system to help protect against frequent repairs or shutdowns. What Types of Overhead Cranes Can Be Upgraded? It's more feasible to upgrade the capacity of a bridge crane or gantry crane. Workstation cranes and jib cranes typically need to be replaced if they no longer meet the demands of your current production processes. When it comes to truly upgrading the capacity of an overhead crane, we’re really talking about bridge cranes and gantry cranes. 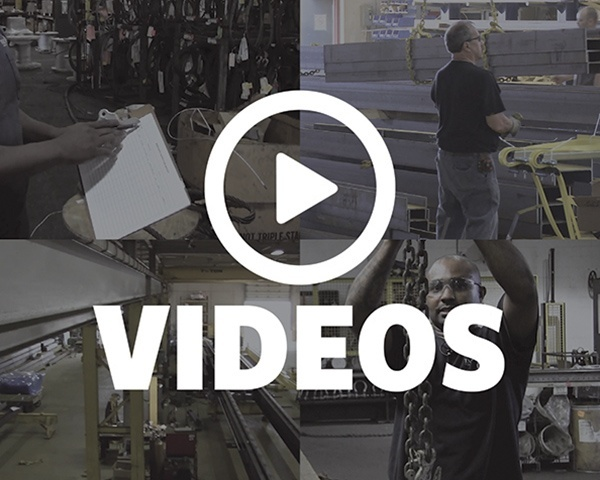 Workstation cranes are typically package systems that have specialized components specifically engineered to work together—all the way down to the connection points and individual bolts. You typically can’t upgrade a workstation crane’s capacity—you would need to do a total replacement with a different type of system. You can add additional track to a workstation system, or swap out the hoist, but that's about it. Jib cranes are engineered to a very specific capacity, and if that capacity needs to be increased, it will be a complete replacement. Wall or column-mounted jib cranes are engineered for a specific support style that has its own load rating. In order to upgrade the jib, you’d also have to increase the load rating or reinforce the support that it’s mounted to. A Professional Engineer (PE) can evaluate your existing overhead crane's mechanical, electrical, and structural components and determine if they're capable of being upgraded to meet new manufacturing or production processes. The most important thing you can do is have a feasibility study performed by a third-party Professional Engineer (PE). A PE can evaluate your entire crane system and determine if and how your crane’s productivity and reliability can be increased through a capacity upgrade. The PE will also provide a recommendation of what mechanical and structural components will need to be upgraded. 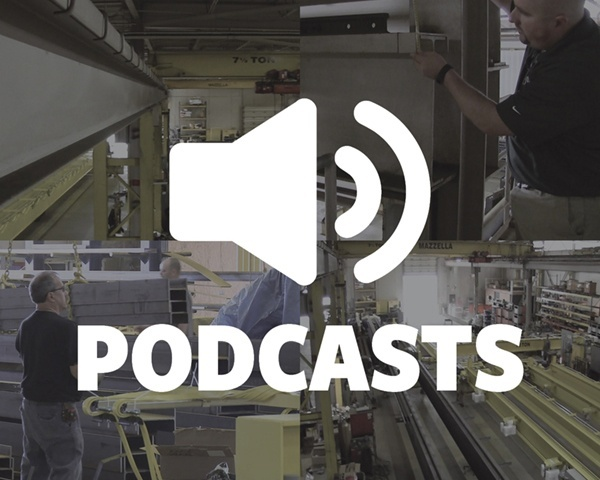 Below, we’ll take a look at what components are typically upgraded when you increase your crane’s capacity, and what that might entail. For lower-duty electric or pneumatic hoists, these systems come as a complete system and would need to be swapped out and replaced with a heavier-duty hoist package and re-installed. One of the most common problems with overhead cranes is uneven and excessive wear to the end truck wheels. The wheels on an overhead crane will naturally wear down due to normal use and may require more frequent maintenance, replacement, and adjustment than other components. However, a crane that is out of alignment or is moving loads outside of the capacities and service classes that it was designed for, will put extra stresses on the end truck and wheels as it moves down the runway. You can upgrade to wheels made of a harder material that is better suited for the application and for the hardness of the rail itself. A wheel that is harder than the hardness of the rail will begin to cause excessive wear to the rail or beam itself, so make sure that the wheels were made specifically for the rail they’re running on, but can also handle the added load. The bearings can also be upgraded with an anti-friction design to reduce wear while increasing productivity demands. During the feasibility study, a PE or structural engineer can help determine what type of reinforcements may be required to strengthen the existing bridge and runway girders in order to support the new wheel loads. The beams themselves may need to be reinforced by adding a cap channel, or you may have to have specially-engineered plating designed and installed to allow the existing bridge and runway beams to handle the new loads being applied to the crane system and supports. At the same time, the PE can make a recommendation on any changes that should be made to the bridge motor, bridge gearbox, and bridge braking systems. When you think structure, most people always think about the building and the runways and bridge beams, but overlook the foundation. A foundation survey should also be performed to ensure that the foundation and flooring of the building can support the crane’s new load requirements. A third-party surveyor should be brought in to assess the foundation and issue a report to the customer and the installer before any work begins. When the work of the motor changes, the drive system changes as well. Any changes to gear sets or motor size will require changes to the crane’s drive system and controls as well. Adding in a modern control system, like a variable frequency drive, can provide smoother acceleration and deceleration controls—which eliminates abrupt starts and stops and helps prevent load sway. Smoother starts and stops, and less load swing all help prevent everyday wear and tear on your crane equipment. If the new amperage requirements exceed the existing requirements in place, then a new disconnect equipped to handle higher amperage will be required to safely disconnect power from the crane equipment in the event of an emergency—per OSHA 1910.179(g)(3)(i). Any other upgrades or changes to the electrical system, to accommodate the additional amperage resulting from the upgrade, must be made by the customer. This will allow the installers and service team to properly power up and test the equipment once the upgrade is complete. If you choose to upgrade your crane’s brake system at the same time that you add variable frequency drive controls, you can greatly reduce the wear and tear and maintenance on your brake system—especially if the crane is lifting and moving loads heavier than the original brakes were specified for. Having a microprocessor control the motor and slow the crane’s motion versus using the brakes to slow down the crane, can prolong the life of the crane’s brake system. What Type of Testing and Training is Required After the Upgrade? The weight for load tests must be “known," so the load testing of the crane can be performed using a certified weight from a load-testing company, or the known weight of materials like concrete, steel, or water weight bags. In most cases, any type of operator training that the customer wants after the upgrade is complete will be written into the specifications of the project. Training could be as simple as showing one operator how to use the new features of the crane, or it could be a 2 to 3 day class involving multiple operators and other production and maintenance personnel. There can be a learning curve for operators to get used to the new crane equipment once the capacity has been upgraded. It could even be weeks or months before they’re 100% used to the new operating characteristics of their crane. Operators may be used to letting off of a lever or button on the controls and the crane starting or stopping immediately. A new drive system builds in time for controlled acceleration and deceleration, so the crane may still travel an additional 5 to 10 feet once the operator lets off of the controls. 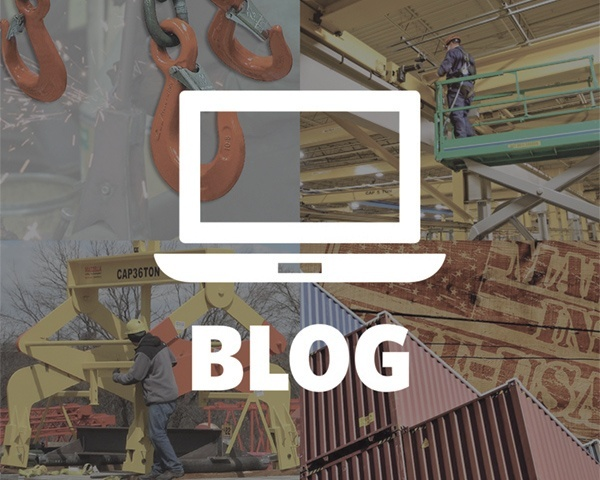 The goal for most crane upgrades and modernizations is to prevent load swing, so adding in acceleration and deceleration controls can take some time to get used to. In the long run, it will significantly decrease the wear and tear on the motors, drives, brakes, and structural components of the overhead crane equipment. How Long Does it Take to Upgrade an Overhead Crane’s Capacity? Most customers will schedule an upgrade to their crane equipment during a planned production shutdown. This helps ensure their employees and other machinery and equipment won’t be operating nearby. During the upgrade, the crane equipment and any other equipment or machinery operating nearby should be shut down with the customer understanding it is not to be used, whatsoever, while the upgrade is being performed. This protects the service techs and installers, as well as any of the customer’s employees working nearby. Most customers will schedule their upgrade during a planned production shutdown so it doesn’t interfere with the bottom line. They can plan accordingly to make sure machinery and equipment won’t be operating nearby, the crane won’t be in use, and extra employees and other personnel won’t be working nearby. We provide start-up and load-testing services, and offer operator training for each crane system that we upgrade. If you partner with a reputable and experienced overhead crane service provider, they can work with you to determine if an upgrade to your overhead crane equipment is a feasible option, and then help develop a plan of action. At FHS/Mazzella Crane Service, we understand how important a functioning and reliable crane can be to your business, and we partner with our customers to extend the life of their crane equipment and make them more productive, efficient, and safer. We provide start-up and load testing services and also offer operator training on every project we work on. Out goal is to design and manage the upgrade process with the customer in mind to minimize disruption to existing and ongoing production. If you’re interested in speaking with a crane service specialist, please contact us for a quote today. We can work with you to develop a specialized crane upgrade or modernization program for the fraction of the cost of a new system!